The President of India, Shri Pranab Mukherjee inaugurated the twenty-eighth Indian Engineering Congress on the theme “Engineering Advancements and Accelerated Nation Building” today (December 20, 2013) at Chennai. The Congress is convened by The Institution of Engineers (India). Speaking on the occasion, the President said our immediate challenge is to reverse the economic deceleration and nurse our growth back to the eight per cent plus levels clocked by us in the past. Positive factors such as continuing rise in per capita incomes, expanding middle-class consumers, and a young and energetic workforce gives confidence that as the global economy revives, we will be able to secure faster growth. The President said “To enable our growing brigade of entrepreneurs play a bigger role in the global industrial landscape, we have to address their level of competitiveness on top priority. I strongly believe that there is another milestone to be crossed in the quality and productivity journey. New operating models - flexible automation, multi-location production, deferred customization and disposable factories – have to be introduced through innovative engineering." 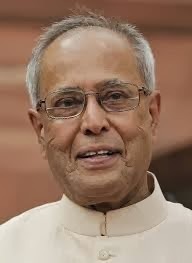 The President said innovation is a key strategy for growth and called upon Indian industry to develop strategic partnerships with universities and research institutions to take forward key innovation ideas. The President called upon every engineering and technical institution in the country to make an all-out effort to help India develop a large pool of proficient scientific and technical manpower. He also asked the Institution of Engineers (India) to think of establishing an Institute of Excellence in Engineering and Technology to create synergy between industry and academia through high quality engineering education and innovative research.